For a lot of my life, feminism was a bad word. I grew up in a conservative religious home, was homeschooled from 3rd grade until I went to a private (religious) high school, and then I went to a conservative religious college for undergrad. You see the theme, right? I know now that there are people of faith who engage with feminism, but I didn’t know that growing up. I was a living stereotype. So, feminism. A lot of voices in my life insisted that feminism was bad, and that it didn’t honor women. BUT I had (have!) a strong mother and grandmother. They were deeply committed to my education. They encouraged me to go abroad. They encouraged me to go to grad school. They encouraged me to read whatever I wanted, as much as I wanted. When I look back, I see how much that meant, and how much their support opened the world for me, and how it eventually led me to give feminism a chance (in spite of their intentions, possibly). Giving feminism a chance meant listening to voices I wanted to dismiss out of hand. It meant reading books, meeting people from all over the world, and learning how to think critically. It meant unpacking my assumptions about how society worked, and examining my faith in a new light. I saw too often a lack of fairness, justice, and empathy from those who continued to insist that feminism was bad. What feminism means to me now: I’ll admit that I don’t always have the words to describe my views. So I’ll steal a bit from Maya Angelou and say that I think being a feminist means embodying “qualities including strength, commitment,… and a profound understanding of gender equality.” It means understanding that inequality is a many-layered thing, and acknowledging my privilege. Feminism, for me, means that I have an obligation to fight for all people to have the right to be equally human, just as I believe that we’re all made in the image of God. 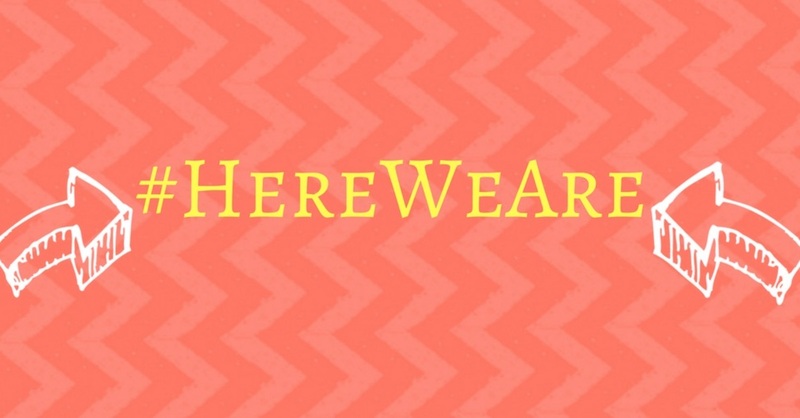 I wrote this post in conjunction with #HereWeAre. In honor of Women's History Month and in light of the ongoing need to continue talking about equality, #HereWeAre seeks to highlight the power of talking about feminism: what it means for us individually, what it means for us collectively, and why it's one of the most powerful and life-changing parties around. I was also raised with the word "feminist" being an insult. I feel lucky that life took me in a different direction eventually and that I was able to change and grow.